Connor Dixon began a one year apprenticeship at Seaton Spring on October 1st. Connor has enrolled into the Warehousing and Storage Apprenticeship which is highly applicable to a number of aspects of Seaton Spring’s business. 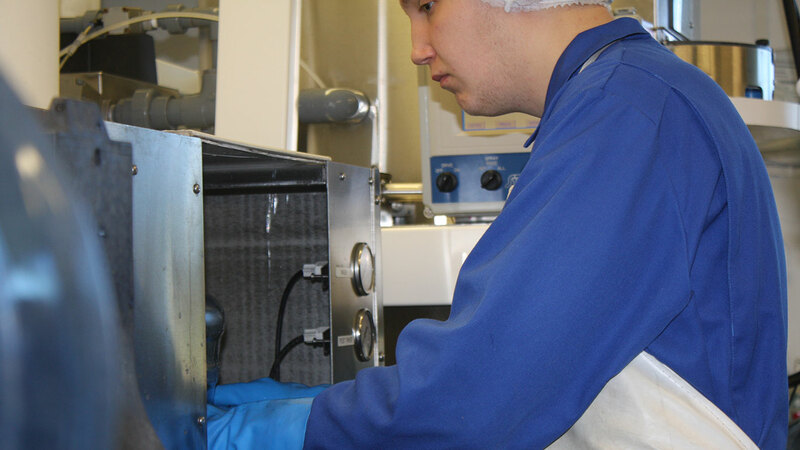 Connor initially joined Seaton Spring in 2013 as a part-time summer holiday job and has progressed to make himself an important member of our internal support staff being able to turn his hand to many of the functions carried out both in regards to in-house sanitisation of watercoolers through to working within Seaton’s bottling plant. The apprenticeship covers the movement and storage of goods, which is an essential part of the Seaton Spring logistics operations. The training opportunities will include operation of specialist machinery, stock management, audit inventory and health & safety. In addition to formalising Connor’s training over the next twelve months he will also be trained in the use of fork lifts to add another element to his skill set. Originally from Stoke, Connor’s family have now settled in Seaham Harbour. Connor was a keen member of the Seaham Division of the Young Firefighters Association; he hopes to enrol in the future as a part-time fire fighter, a role which has the full support of Seaton Spring. 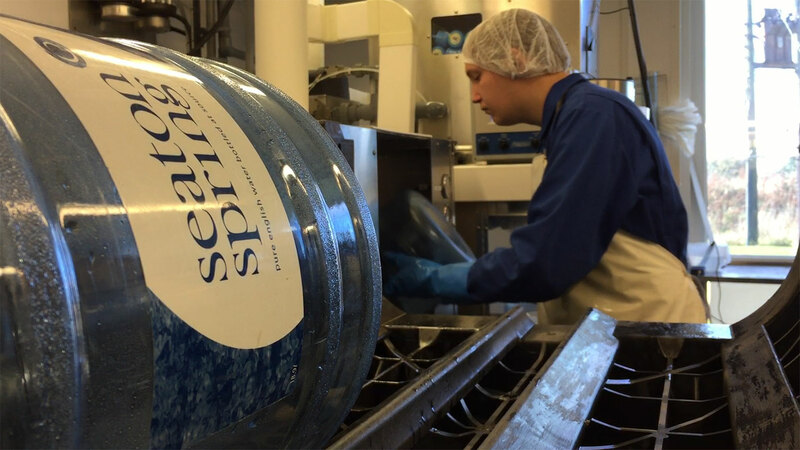 Seaton Spring water is bottled at source right in the heart of the North East of England. To complement the quality of our water the high standards of our bottling process have been endorsed every year since our formation by annual audit marks from independent auditors licensed by the 'British Water Cooler Association' where our plant has been graded as 'EXCELLENT' in every year. Our award winning plant boasts the latest technology machinery and continues to operate at exceptionally high standards in accordance with the BWCA. The video shows Connor conducting a visual check and sniff test of each water bottle before loading it into the bottle washer prior to the water bottling process. Our water bottles are re-used on average 15 times before being ground down and recycled to make pens and pencils.